DEL MAR — The Breeders’ Cup World Championships, considered the pinnacle of thoroughbred racing, will return to Del Mar in 2021. The worst-kept secret in the industry was officially revealed Aug. 17 at the iconic seaside race track. 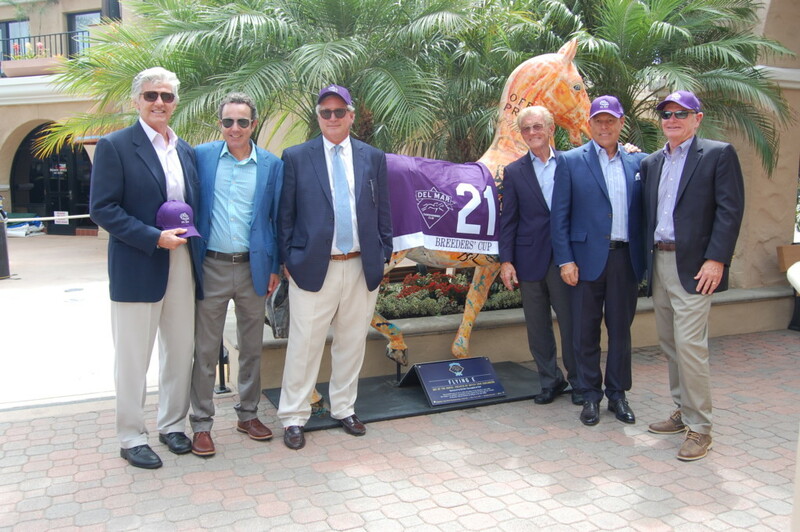 “The Breeders’ Cup was an amazing time for us,” Del Mar Thoroughbred Club CEO Joe Harper said. 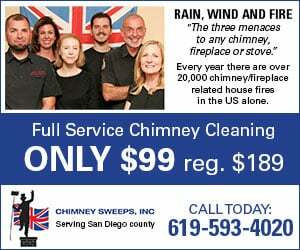 “We had a wonderful time doing it last year. It was challenging. It was fun. … We had a ball. 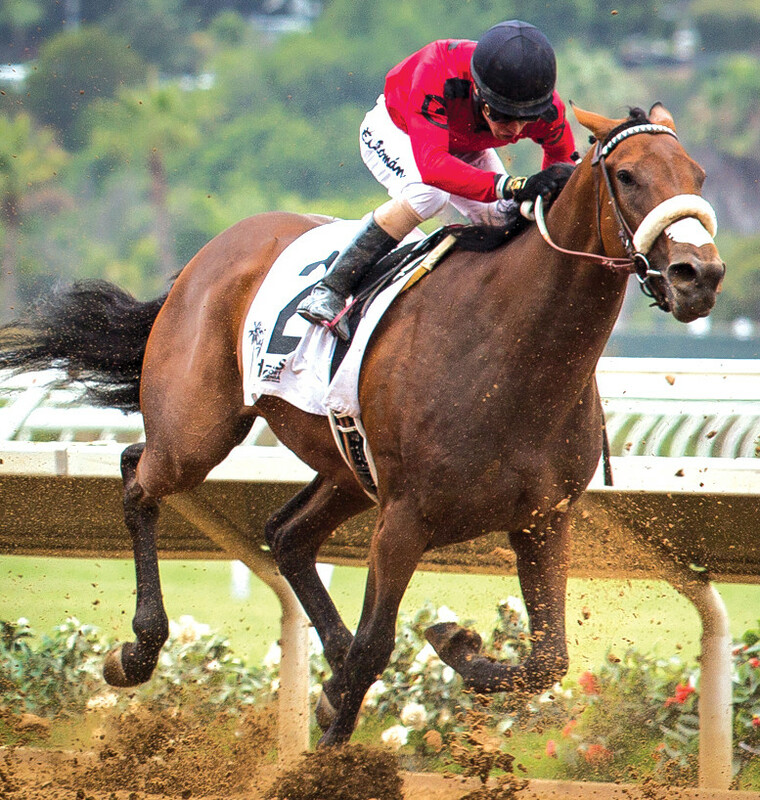 When Del Mar first hosted the event this past November, the two-day on-track wagering total of approximately $25,181,320 was a 21.4 percent increase over the 2016 running at Santa Anita Park. The total handle of nearly $166,077,500 was the highest since 2010 at Churchill Downs, which held two more races than Del Mar. In all, 69,970 people attended — 32,278 on Friday and 37,692 on Saturday — with daily ticket sales capped at 37,500 to avoid lines and overcrowding. Although there are only two days of racing, visitors’ average length of stay was five days, providing a $100 million economic impact to the region, Joe Terzi, president and CEO of the San Diego Tourism Authority, said. About $30 million of that was direct spending in the communities, he added. About $1.1 million went to the 22nd District Agricultural Association, which governs the Del Mar Fairgrounds, Josh Rubenstein, DMTC president, said, adding that multiple out-of-state stables are now running horses at Del Mar because of their experiences during the Breeders’ Cup. “It was a win for everybody,” he said. The 2021 event should result in higher earnings for the district, Rubenstein added, because Breeders’ Cup plans to fund a $1 million race. Del Mar racing officials have been hinting for months that a return to the famed facility seemed inevitable. Negotiations stalled the announcement until this month. The day before the official announcement, The Los Angeles Times reported the other future host sites as well — Santa Anita next year and Keeneland Racecourse in Lexington, Kentucky, in 2020. Craig Fravel, Breeders’ Cup president and CEO, made the announcement Aug. 17 at Santa Anita in the morning and Del Mar later that day. This year the Breeders’ Cup is at Churchill Downs in Louisville, Kentucky. In 2021, the 38th running will be Nov. 5-6.